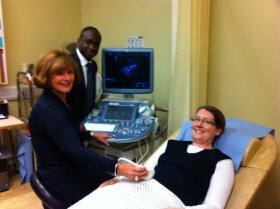 Diagnostic Ultrasound Services is an accredited AQP (Any Qualified Provider) NHS Provider of diagnostic ultrasound scans to patients in Surrey, West Kent and West Sussex. We offer a choice of ultrasound scans which are carried out by highly experienced consultant and senior sonographers. We are committed to providing the highest standard of diagnostic ultrasound using state of the art, fully equipped high resolution scanners. 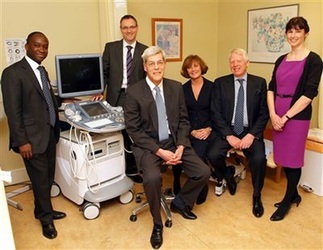 We have operated a community ultrasound service for over 18 years with the aim of supporting the care and management of patients in primary care. We have been visited and subsequently described as "an exemplar site" by the Royal College of General Practitioners. Our own surveys show that 75% of patients referred for a scan with our service can subsequently be managed in primary care with no need for secondary care (hospital) referral. Those patients who are referred to secondary care are usually referred for a hospital based procedure. This supports the idea behind Clinical commissioning that patients should be seen in the right place, at the right time and by the right person. These are at five fixed sites and these are securely and electronically linked on the NHS N3 network. Oxted Health Centre, Oxted is our central hub where all co-ordination of our appointments and administration takes place. Birchwood Medical Centre in Horley. Patients can therefore opt to have their scan at a location and time that suits them. Our ultrasound reports are usually available electronically within your notes at your GP surgery within half an hour of the scan being performed. All reports and images also available electronically to any NHS hospital within the UK if this is requested via IEP (Image Exchange Portal). We can also liaise with private hospitals similarly. Our aim is to ensure a seamless, safe and secure pathway to support your GP referral where necessary.